Meet the industry leaders who are making Spark 2016, the HSI International Conference, possible. Our three days of education, networking, and fun in Phoenix on October 24-26, 2016 wouldn’t be possible without these great sponsors. Philips HeartStart AEDs are the most chosen on the planet. Philips AED solutions with Life Guidance act as your personal coach to guide you through a cardiac emergency. Adaptive instructions and intelligent sensors keep you on track to automatically deliver the right therapy, helping give you the confidence to save a life. Visit www.philips.com/usaed. Prestan develops and markets medical training products serving the needs of the Emergency Response and Healthcare Markets worldwide. They respond to the needs of instructors who are healthcare, corporate, and public training professionals and their students by providing products that are innovative and inexpensive while improving the delivery of training services. Visit www.prestanproducts.com. DXE Medical specializes in providing sales and service for both new and recertified products including AEDs, monitor/defibrillators, and other medical equipment and accessories to care providers and businesses across the country. Through manufacturer-certified biomedical technicians, DXE provides extensive services including factory re-certification, preventive maintenance, extended warranty and general repair. It is this combination of products and services that has made DXE successful for nearly two decades. DXE Medical is part of the Sarnova family of companies, the leading national specialty distributor of healthcare products in the emergency medical services (EMS) and acute care markets. Visit www.dxemed.com. Instructor’s Edge is a tablet-based application that ensures consistent, high-engagement delivery of your material. Each instructor will know what to say, ask, draw, what material is mandatory, and more -- all updated instantaneously to their tablet via the cloud. The result is consistent, high-engaging delivery from all your instructors! Learn more at www.instructorsedgeinc.com. For more than 50 years, healthcare providers and educators have trusted Laerdal to offer products, services, and solutions that help improve patient outcomes and survivability. By supporting the advancement of resuscitation science, improving medical education and strengthening the chain of survival in communities worldwide, we help you save more lives. Visit www.laerdal.com/us. One Beat CPR + AED is the largest distributor of defibrillators and accessories in the United States; as well as an American Safety & Health Institute (ASHI) and American Heart Association (AHA) authorized training site. As an exclusive Philips Healthcare partner, One Beat CPR + AED can give you direct access to the best prices in the industry. We offer an expansive line of AED products and accessories. Visit www.onebeatcpr.com. PLS Print offers a complete package of services including: commercial printing, full-service mailing capabilities, design services, promotional products, and fulfillment. We are a third-generation, family-owned business, located in Clearwater, Florida. Personal service is the foundation of our business, and because of that we work hard to make sure each customer is treated exceptionally well. Let us know how we can serve you. Visit www.plsprint.com. We are a CPR training supplies company. We can supply your CPR business with everything you will need to be successful. From business cards to mannequins, we can do it all. Visit www.charts411.com. MDSI provides integrated solutions for corporate and public access defibrillation programs to ensure an organization’s readiness to respond to a victim of cardiac arrest. With the most experienced team in the industry, our solutions include medical oversight, 24/7 support, readiness reminders, training and AEDs, supplies and accessories. Visit www.mdsimedical.com. Rescue One Training for Life specializes in providing life safety training and product solutions to individuals, healthcare providers, and organizations of all sizes. Our offerings include: CPR, AED, First-Aid, ACLS, PALS, Bloodborne Pathogens, and Emergency Medical Responder training as well as AEDs and supplies and first aid products. Learn more at www.rescue-one.com. we are here to provide. Visit www.trainingcenter911.com. The Starfish Aquatics Institute (SAI) is an internationally recognized water safety certification agency, and the only agency providing education and certification programs in every facet of aquatics: lifeguarding, swim instruction, pool operations and community outreach/drowning prevention. SAI also offers a comprehensive system of services to help improve safety and reduce risk at aquatic venues, including lifeguard performance audits with an operational assessment and consulting visits. Visit www.starfishaquatics.org. focuses on the needs of military, law enforcement, professional first responders, and rescue personnel, while Griffin focuses on the needs of civilian markets, including schools, workplaces, public venues, and the home. Visit www.tacmedsolutions.com. The new Water-Jel FIRST RESPONDER burn dressings are saturated in a new, odor-free, crystal-clear gel, containing a globally approved unique new broad spectrum system with Hyaluronic Acid (HA), and Microkill® allowing for a more effective visual evaluation and protection of the burn injury and its surrounding tissue. Visit www.waterjel.com. Occupational Health & Safety is a leading source for information in health, safety, industrial hygiene, environment, security, and fire protection. Each month in the OH&S print magazine and continually on www.ohsonline.com, the experienced team of OH&S editors bring you the latest information about industry developments. Visit www.ohsonline.com. EMS World magazine is the most authoritative source in the world for clinical and educational material designed to improve the delivery of prehospital care. EMSWorld.com provides comprehensive EMS news coverage, product information, job listings, videos and educational features. EMS World Expo is the largest EMS event in North America. Visit www.emsworld.com. Fidelitone helps clients earn customer loyalty through order fulfillment, last-mile delivery, transportation, and supply chain management. Visit www.fidelitone.com. 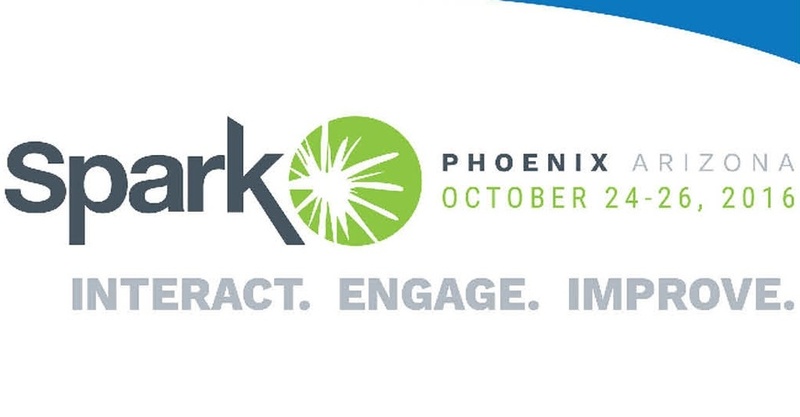 Thank you to all our conference sponsors — See you in Phoenix in less than two weeks!